Whether you're looking for a gorgeous willow picnic basket or a canvas backpack sturdy enough for a long hike, we have the picnic gear you need. 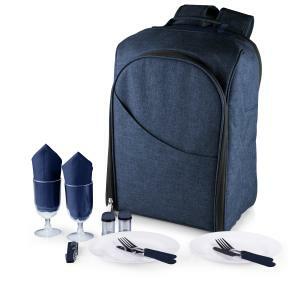 Picnic World offers the largest selection of picnic accessories on the Internet, all with lightning-fast shipping and a 30-day money-back guarantee. Food always tastes better when you're eating beneath a vast blue sky dotted with soft clouds, which is just one of the many reasons why the picnic is a popular pastime across the world. 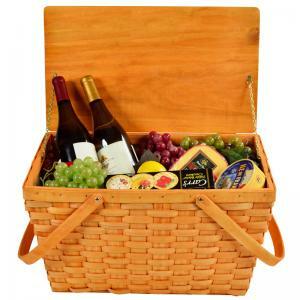 Picnicking began as a leisurely activity used as a means of self-empowerment and we here at Picnic World aim to empower you by offering the best picnic products at the best prices possible. That's why we have items from some of the most well-known picnic brands, including Picnic Time, Picnic at Ascot, Picnic & Beyond and more. We understand you have countless choices on where to buy your picnic products, but what sets us apart from other sites is that we're a small business run by actual people. Not only do we pour our hearts and souls into Picnic World but we also do everything in our power to bring you the highest quality customer service and back everything we sell with a 30-day, money-back guarantee. If you still don't believe our commitment to your satisfaction, read what some of our customers have said about us on our comment page. 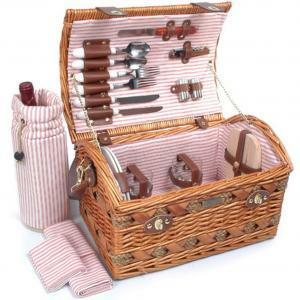 Whether you're buying a picnic basket as a gift or for yourself, you'll rest comfortably knowing we do everything in our power to make the buying experience smooth. 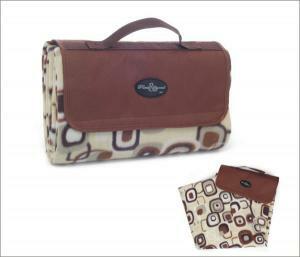 To say we have something for all picnic lovers would be an understatement. Our selection of products covers all facets of the outdoor dining. 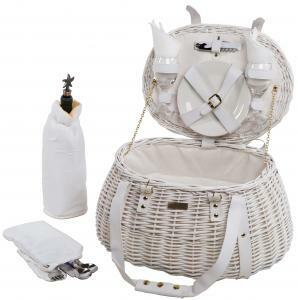 For those who love indulging in wine at an outdoor concert, we have wine totes and wine picnic baskets. For those who enjoy getting off the beaten path, we have sturdy picnic backpacks and coffee totes that can be taken to the most beautiful sites in the world. 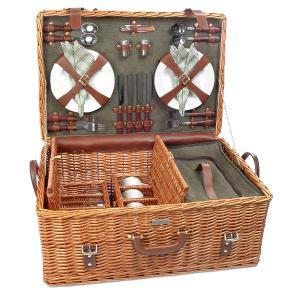 We even have romantic picnic baskets for the sentimental. 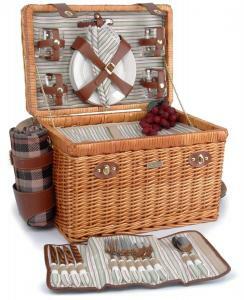 And, of course, we have vintage picnic baskets and empty picnic baskets for those who long for a traditional iconic picnic on a checkered blanket. We invite you to look through our whole selection of picnic products and encourage you to reach out to us with any questions or comments. Perfect wedding shower gift! The couple loved this gift, especially when I included a gift card for them to purchase their choice of wine for their romantic picnic. Guide to Outdoor Seating for Picnics - Not sure what kind of outdoor seating you'd like to bring to your next picnic? We have a great rundown of the various types of picnic chairs available. Picnic Games For Teens - Find great outdoor games for teenagers that have been kid-tested by the outdoor fun experts at Picnic World. 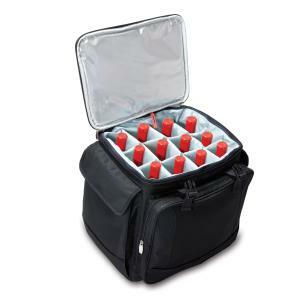 Six Winter Tailgating Tips - Keep the chill at bay with these great winter tailgating tips and product recommendations from Picnic World! 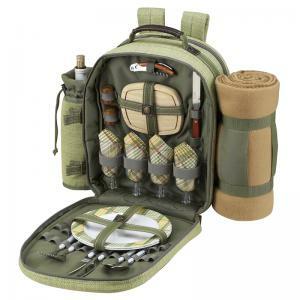 Differences Between Picnic Backpacks and Baskets - What's the difference between a picnic basket and a picnic backpack? Let Picnic World help you decide which one works for you!